The middle of the summer is a good time to think about getting away to a cool spot for a week or two. That's probably why Alaskan cruises are very popular this time of year. 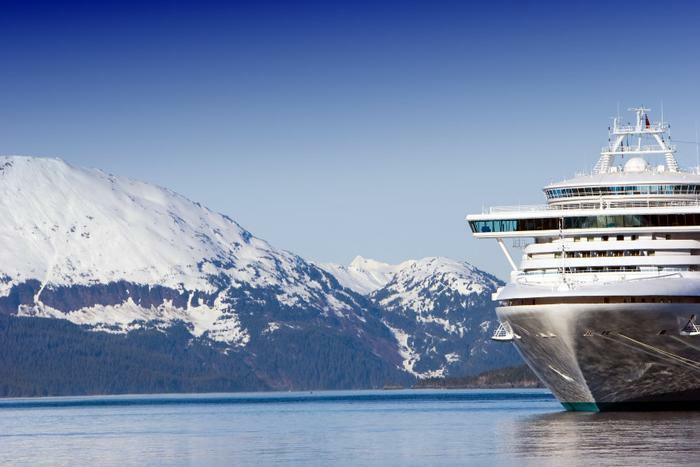 Most of the major cruise lines operate ships in Alaskan waters. Most take either the Inside Passage or the Cross Gulf of Alaska, or both. The Inside Passage cruise is usually a round-trip leaving from either Seattle or Vancouver and making stops in ports like Juneau, Skagway, Ketchikan, and Sitka, Haines, or Victoria, B.C. According to Alaska.org, a tourism site, week-long cruises through the Inside Passage usually spend a day in Glacier Bay, where the scenery is majestic. There are also some longer Inside Passage cruises that leave from San Francisco, or even San Diego. The Inside Passage is popular with travelers who just want to relax and enjoy Alaska's coastal scenery. Since it is a round-trip excursion, you end up back where you started, allowing you to book round-trip airfare to get from your home to your departure location. The islands located on the western side of the Passage provide some measure of protection from the open sea, which can get rough at times. That makes ports like Ketchikan, Wrangell, and Petersburg popular with travelers who are prone to seasickness. The Cross Gulf of Alaska routes usually sail north or south between Vancouver or Seattle and Anchorage, by way of the port towns of Whittier or Seward. Ships call at many of the same ports on the Inside Passage, as well as Valdez, Hubbard Glacier, or College Fjord. The Gulf cruises are popular with travelers who want to add a land tour, or simply enjoy the views of the coastline and glaciers. Cruises tend to operate mid-May to mid-September, with the peak season from mid-June to mid-August. Before and after, some day tours and hotels offer "shoulder season" discounts of 10% to 25%. Holland America says it has been offering Alaskan cruises longer than the region has been a state. Among its popular destinations is Glacier Bay National Park. Passengers can observe a UNESCO World Heritage Site that protects a unique ecosystem of plants and animals. Other popular destinations include Juneau, Ketchikan, Frederick Sound, Haines, and Hubbard Glacier. Norwegian Cruise Lines operates three ships on the Alaskan routes -- the Norwegian Jewel, Norwegian Pearl, or Norwegian Sun. The voyages of varying length cover all of the ports along the Gulf and Inside Passage routes. Alaskan weather can be fairly unpredictable, even during the summer months. You'll find the warmest temperatures in June, July, and August, but even then the mercury will fluctuate between 50 to 80 degrees during the day, and drop lower at night. You'll need clothing that will be comfortable no matter where you are in that temperature range. You might need a parka at breakfast but will find a t-shirt more comfortable at lunchtime. If you like your space and don't particularly like crowds, cruises early and late in the season may be more to your liking, and may be more economical as well. For most travelers, getting to the cruise departure point will require air travel. Seattle-Tacoma International Airport is served by every major airline and a few regional ones. The airport is located in southern Seattle, off I-5. For cruises departing from Anchorage, travelers will need to fly into Ted Stevens International Airport. Alaska Airlines, Delta, JetBlue, and Icelandair are among the major carriers serving Anchorage.